Into the business end of the season – Extreme 40s head to the French Riviera for the penultimate Act » Extreme Sailing Series: "Set against the backdrop of the world famous Promenade des Anglais, Nice on the French Riviera will provide the playground for the eight Extreme 40s including the home nation entry, the first club by ALL4ONE Racing Team from the 3-6 October"
The America's Cup Comeback story in their own words (video above) - ORACLE TEAM USA's comeback story in the 34th America's Cup - the most epic comeback in sailing, and possibly in sport. Ocracoke ferry rescues NC couple after sailboat capsizes :: WRAL.com: "The crew of a state ferry pulled a Black Mountain couple from Pamlico Sound Thursday night after their sailboat capsized, officials said Friday. John and Renee Hoffman were sailing in Big Foot Slough just off of Ocracoke Island when winds suddenly increased, flipping their boat, authorities said. . . ."
Ellison: ‘This regatta has changed sailing forever’ / America’s Cup: "The victory brought to a close the America’s Cup in San Francisco. The event ended on a high note with the captivating match between Oracle Team USA and Emirates Team New Zealand, one that took 19 races in 19 days to complete." Ben Ainslie inspired Oracle Team USA to their eighth straight win as they completed one of the great sporting comebacks from 8-1 down against Emirates Team New Zealand to take the deciding race of the series to win the 34th America's Cup. SIR KEITH MILLS is ready to set up a British America's Cup team with Sir Ben Ainslie after Britain's greatest sailor helped spark one of the biggest comebacks in sport. Ellison: 'This regatta has changed sailing forever' - YouTube: "ORACLE TEAM USA founder Larry Ellison jumped aboard his sleek and swift AC72 moments after the crew had crossed the finish line of Race 19 of the 34th America's Cup, a winner-take-all race. "I wanted to let them know they'd just won the America's Cup," said Ellison. "And that's what I told them; that's what I said." The victory brought to a close the America's Cup in San Francisco. The event ended on a high note with the captivating match between ORACLE TEAM USA and Emirates Team New Zealand, one that took 19 races in 19 days to complete." America's Cup: How Oracle Saved the Cup - WSJ.com: "Oracle Team USA, the resilient crew of sailors who capped an epic comeback Wednesday to win the America's Cup, had spent hundreds of hours at sea over the past three years preparing to win this 162-year-old yacht race. But in the end, the victory came down to one of the oldest methods of rescue in team sports: calling a timeout to make adjustments. The defending America's Cup champion Oracle team, which is financed by billionaire Oracle Corp. founder Larry Ellison, struggled early in the final, falling behind Emirates Team New Zealand 8 races to 1. Then, something clicked. The Oracle boat began to dominate, erasing deficits on San Francisco Bay with ease and accelerating to win by sometimes yawning margins. It finished the comeback Wednesday to take the first-to-nine-wins series, 9-8...."
Larry Ellison glows under shine of America's Cup | Reuters: " . . . "This regatta has changed sailing forever," he beamed at a news conference, flanked by Oracle skipper Jimmy Spithill and the 162-year-old trophy. Sailing has been in Ellison's blood for about as long as Oracle has. When he moved in the 1960s from Chicago to northern California, where he would eventually launch Oracle Corp, the future tycoon lived on a modest sailboat moored in Berkeley Marina until he ran out of money and had to sell it. In 1998, Ellison was aboard his maxi yacht Sayonara when its won the 630-nautical mile (724 mile) Sydney to Hobart Yacht Race, which turned tragic when a storm killed six people and destroyed several boats. . . ."
America's Cup: Sir Ben Ainslie's Oracle Team USA clinches stunning comeback | Sport | The Guardian: "Oracle Team USA won the America's Cup in a climactic race in San Francisco Bay on Wednesday, capping an epic comeback and rewriting a script that had the plutocratic sailing tournament sinking into pre-ordained ignominy. Thousands of jubilant supporters cheered the American team, the defending champion, on Wednesday as they ploughed past the finish line 44 seconds ahead of Emirates Team New Zealand, sealing one of the most memorable victories in the cup's 162-year history. . . ."
New Zealand shrugs off America's Cup loss | Reuters: "New Zealand Prime Minister John Key summed up the feelings of his country when their America's Cup team were beaten by Oracle Team USA in the winner-take-all showdown in San Francisco on Thursday. "Bugger," he Tweeted from New York. . . ."
By Justin Palmer. LONDON | Thu Sep 26, 2013 1:14pm EDT. LONDON (Reuters) - The thrilling climax to the America's Cup in San Francisco has put the event and sailing "in a strong place commercially", according to Oracle Team USA tactician Ben Ainslie. In their second competition weekend of the season, the sailing team impressed with a generally solid performance across a number of events. After four regattas across New England, the Big Green ended the weekend with a trio of second-place finishes. 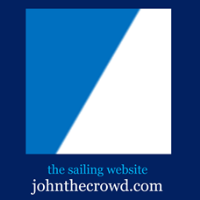 The event includes workshops for beginning, intermediate and advanced women sailorson Saturday, continental breakfast, lunches, one raffle ticket, registration packet, visor, a bag filled with goodies from our sponsors, as well as sailing on Sunday. The U.S. Sailing Annual Meeting is a unique opportunity for US Sailing members to meet with the National Governing Body's leadership and discuss relevant industry topics facing the sport, exchange ideas, reflect on progress, and look ahead to future plans. Race Replays at http://www.youtube.com/user/AmericasCup/videos and at americascup.virtualeye.tv. SAN FRANCISCO -- This could be the greatest day in America's Cup history. After three weeks of some of the most dramatic, intense and riveting sail racing, it all comes down to one final race. No matter who wins it, the story will be epic. It already is. After Comeback for the Ages, a Last Dash for America’s Cup - NYTimes.com: "The America’s Cup has produced no shortage of strange scenes in its 162 years. There have been capsizings, shattered masts and shattered spirits, but it has never produced a reversal of fortune quite like this year." America's Cup a billionaire's game, John Bertrand says: "As for the current series, Team America on Wednesday levelled at 8-8 after winning seven races in a row and leaving the series to be decided by a sudden-death race this week. Bertrand said it appeared that the American's had benefited from intensive out-of-water testing during the series, which New Zealand had led 8-1. "The bottom line is that the Americans have found another gear," he said. "They've done a lot of work with the technology at night with all the super computers and so on and they are sailing, I suspect, a shade faster in these conditions."" Oracle Sweeps Two Races to Tie America’s Cup - NYTimes.com: " . . . The America’s Cup is the most famous yachting race, both for its long history and for the powerful personalities that have been drawn to it: from the British tea merchant and graceful loser Thomas Lipton to the brash media mogul Ted Turner to Mr. Ellison, the goateed software billionaire who has spent hundreds of millions of dollars on this cup campaign. Despite its high profile, the America’s Cup has rarely been a close race. The majority of the matches between challenger and defender have been lopsided affairs short on close finishes and telegenic appeal. This Cup match is the longest in history — at 19 days — and also the closest in 30 years. In 1983, Australia II and Liberty faced off in another winner-take-all race off Newport, R.I., and the Australians came from behind to end the 132-year American winning streak. The Australians had rallied from a 3-1 deficit to win that series, 4-3, but no America’s Cup team and few teams in any sport have rallied from a deficit as big as the one that Oracle was facing last week. “The Cup has never seen anything like this,” said Bob Fisher, the 83-year-old writer and America’s Cup historian from Britain." British sailor Jeff Cole feared drowned after falling from his yacht - Telegraph: "Experienced yachtsman Mr Cole, 62, set sail alone from Weymouth, Dorset, in his 27ft yacht Palamina bound for Swanage 20 miles away but never arrived. His wife Val raised the alarm when he failed to return home on Monday morning, around the same time his empty blue and green yacht washed up 142 miles away on Grenay beach near Dieppe in Normandy. Mr Cole was last sighted off St Alban's Head, three miles from Swanage, at 10am on Saturday morning. It is believed Mr Cole was motoring the yacht in light winds using an autopilot to steer when he suddenly fell overboard." America's Cup: Oracle answers skipper's call for 'one hell of a comeback' - San Jose Mercury News: "...If the American team continues its startling momentum and wins the two scheduled races on Tuesday and one on Wednesday, it will retain the cup it won in 2010 and keep it in San Francisco. "Oracle is going to do it, all the way, take my word!" said Barbara Scrivner, a nurse in Napa who has watched the races from America's Cup Park -- one of a million fans who have now attended San Francisco's summer of sailing. "They were so far behind. It's incredible how much power they've got to come up from this." "This is torture," said New Zealander Denise McBeth, who has spent the last 50 days in San Francisco alongside thousands of Kiwis watching the 72-foot catamarans duke it out on the America's Cup race course. "The whole country is at a standstill."..." ... ignore it," the TAB's yachting bookmaker Kieran McAnulty told Reuters. The irony is that Sailing New Zealand, the national body which controls the sport, gets a slice of the betting proceeds and will get a bigger amount because of Oracle's resurgence. In America's Cup, Rivalry Starts at Helm - NYTimes.com: "This America’s Cup is, of course, about much more than Jimmy Spithill and Dean Barker. There are 11 sailors on each fast and fragile 72-foot, or 22-meter, catamaran and scores of other individuals providing tactical, technical and logistical support behind the scenes. There is also the Bay Area wind, which, with its many fluctuations in the past week, has seemed intent on delaying Team New Zealand’s would-be celebration as long as possible. . . ."
Race 14 postponed to Sunday / America’s Cup: "Race 14 of the 34th America’s Cup was postponed today due to unsettled winds on San Francisco Bay. The race was officially postponed at 2:40 pm PT, the latest possible time to start a race. The wind was strong enough to race, but the direction was too far south from the desired direction of 230 degrees, just west of southwest." Emirates Team New Zealand came within one nautical mile of winning the 34th America's Cup Friday, but then fell afoul of the 40-minute time limit. When Race 13 was re-sailed, the Kiwis were thwarted by a penalty and good speed from defender ORACLE TEAM USA who live to fight another day. Unusual winds continued to dog the America's Cup on Friday - but this time, the problem was not enough breeze. Reuters – 12 hours ago. Email 0; Share 0. Tweet. 0. Print. Emirates Team New Zealand (C) sails during Race 13 of the 34th America's Cup. Sunset Cruising On An America's Cup Legend - Courant.com: "A pair of sleek 52-foot America's Cup racing yachts, once owned by famed skipper Dennis Conner, are being readied at a marina here for a match race at New York's prestigious Larchmont Yacht Club. After the Anerica's Cup excitement this week of hydrofoiling 72-foot catamarans on San Francisco Bay, Kit Will believes these traditional monohulls still have a place in the racing world. He's sailing director at the Brewer Pilots Point Marina...."
Race 13 was postponed due to excessive wind. Racing continues Friday, September 20, 1:15 pm PT (US), 4:15 pm ET (US), 8:15 pm UTC, LIVE (virtual eye and audio) at americascup.virtualeye.tv. More info at americascup.com. America’s Cup Seems All Over but the Sailing - NYTimes.com: "....“I’d love to see the Kiwis, the little underdogs, that tiny little country that has more sheep than people, take down Larry Ellison,” said Mike Altman, a 35-year-old American from San Francisco who was following the racing from America’s Cup Park on Wednesday. Altman added: “Larry’s got a big ego, and you know I feel like he’s not necessarily the most well-liked business leader around the area. He hasn’t made a lot of friends. He’s known as pretty brash. A lot of people see this as his own personal party, his own little ego trip, and it’s not something that I think a lot of people were clamoring for, to have an America’s Cup here.” Now it is likely to soon be gone, possibly never to return. In 162 years of the Cup, only eight sites have staged the races. One of them was Auckland, New Zealand, in 2000 and 2003..."
Larry Ellison couldn't make Oracle Oracle's quarterly earnings call, busy with “an important America's Cup race.” Despite beating expectations with non-GAAP earnings per share of $0.59 off expectations of 53 cents, Oracle's revenues haven't caught sail. Racing continues Thursday, September 19, 1 pm PT (US), 4 pm ET (US), 8 pm UTC, LIVE (virtual eye and audio) at americascup.virtualeye.tv. More info at americascup.com.